Roy McSweeney, 74, died after being attacked by pit bulls belonging to Deanna Blitch. The Palatka Daily News reports that the same dogs that nearly killed Roy McSweeney were involved in both previous biting incidents. Major Dwight Parker of the Putnam County Sheriff's Office said his office is working closely with the state attorney's office. "We are evaluating this to determine what, if any, charges can be brought," he said. Regrettably, it appears that neither previous incident qualified as "severe," thus hindering a dangerous dog designation. This is the third time dogs from Blitch's residence have attacked a person, according to reports from the Putnam County Sheriff's Office. On Jan. 13, 2010, two pit bulls ran from Blitch's yard and attacked a caretaker, Robert Floyd, at McSweeney's residence, reports stated. Floyd was hospitalized with injuries to his mouth, left leg and stomach. Court records show that Floyd has filed a civil suit against Blitch and Scurrey for negligence and premises liability. Two dogs bit another man, Edward Cormier, on the arms when he entered the back door of Blitch's home on May 13. Cormier told detectives that he was a friend of Blitch's son and the family had given him permission to come over and left the door unlocked for him. According to Blitch, Cormier entered the house uninvited, reports stated. The same two dogs were involved in all three attacks, Greenwood said. Jacksonville.com reports that pit bulls from the Blitch home previously mauled two other men prior to nearly killing a 74-year old man on Friday. In both cases, the dogs were returned to their owners after a 10-day quarantine. It's unclear if these attacks were inflicted by the same pit bulls that left Roy McSweeney on life support. Police reports show that those pit bulls were involved in at least one previous biting incident documented by county police authorities. News4Jax.com reports that family members gathered Sunday at Shands Hospital in Gainesville where Roy McSweeney is struggling to survive. 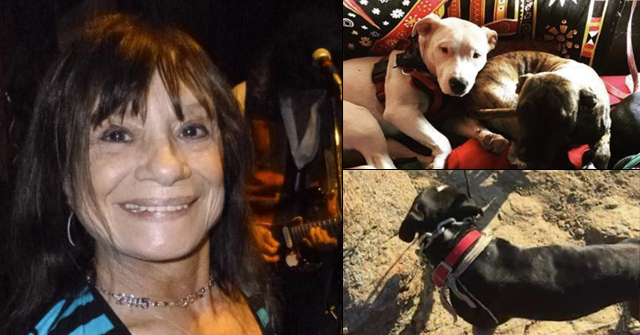 On Friday, two pit bulls owned by Deanna Blitch attacked McSweeney causing catastrophic injury, including the loss of one arm, partial loss of the other and severe facial injuries. Family friends told reporters that McSweeney is on life support. His family has asked for privacy during this difficult time. 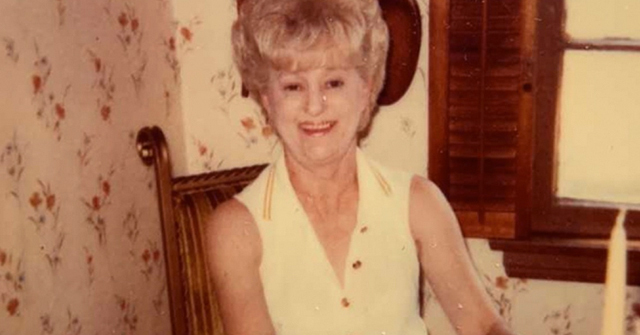 Like other victims of savage and fatal pit bull maulings who have survived tours of war, such as Jerry Yates of Mountain Ranch, California and Henry Piotrowski, of Staten Island, New York, McSweeney is a veteran. Though war survivors, each victim in his later years faced an enemy as lethal as an Improvised Explosive Device (IED) while performing everyday tasks on his own property -- neighborhood pit bulls. Our hearts go out to McSweeney and his family. In a Saturday update, WTEV Action News spoke to the victim's daughter. She said the next 48 hours are critical. Other details emerged too, such as the dogs' owner, Deanna Blitch, is now claiming that the dogs "belong to a friend." Through Roderick Flynn, Chief of the West Putnam Volunteer Fire Department, we learn that McSweeney was a disabled veteran who often used a scooter and that animal control had been called multiple times about these dogs. McSweeney's daughter told Action News Saturday night that doctors said his arm looked like a bomb went off next to it. He remains in a coma-like state, according to his daughter in an exclusive interview by phone. McSweeney is getting a large amount of blood. Doctors on Monday will decide if more surgery is necessary. According to the Putnam County Sheriff's Office, the dogs belonged to McSweeney's next-door neighbor who surrendered the animals to authorities. That homeowner told Action News the dogs belong to a friend. 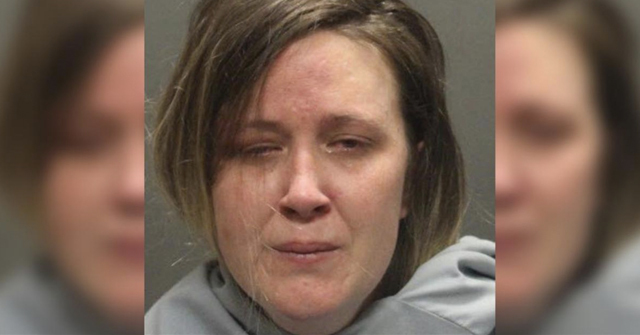 She said she was not home at the time of the attack, and was not sure how the dogs escaped the kennel they are kept in. Gainesville.com has released an update. According to Sheriff's Capt. Johnny Greenwood, Roy McSweeney was in his yard doing yard work when the dogs jumped over the fence and attacked. The dogs are owned by Deanna Blitch, of 261 Old Hawthorne Road, and described as pit bulls or their mixes by Greenwood, a neighbor and Blitch's brother, Dan Dickerson. Blitch -- who lawyered up quick -- said she was advised by her attorney not to comment. Hawthorn, FL - Earlier today, the Putnam County Florida Sheriff's Office issued a news release about a life-threatening dog attack. The victim, 74-year old Roy McSweeney, is currently undergoing surgery at Shands Hospital in Gainesville. Additional information about his condition is not available. News4Jax.com reports that the attacking dogs were pit bulls. Both animals have been euthanized. Deputies are investigating. No further details were released. On June 10, 2011, at approximately 11:00 a.m., deputies, rescue personnel, and animal control officers were summoned to 259 Old Hawthorne Road, in Hawthorne, regarding an individual who had been attacked by dogs. When rescue personnel arrived on scene, they located 74 year-old, Roy McSweeney, who was suffering from severe injuries from the dog attack. The victim's right arm had been amputated; his left arm was partially amputated, and he was suffering from severe facial injuries. The victim was transported by rescue to Shand's Hospital in Gainesville for medical treatment. He is currently in surgery, and his condition is not available. Due to the severity of the victim's injuries, Sheriff Hardy assigned Detectives from the Major Crimes Unit to the investigation. Investigators determined that the two dogs responsible for the attack belonged to McSweeney's neighbor, who resides at 261 Old Hawthorne Road, Hawthorne. The owner of the two dogs subsequently relinquished both dogs to authorities. The dogs have been humanely euthanized and delivered to the Putnam County Health Department to be tested for rabies. Due to the investigation being in its early stages, no further details can be released at this time. Further information will be provided when it becomes available. 1A "logical conclusion" likely means an At Large Dog ticket. Thumbs down to Putnam County authorities! 2With the help of Craven Desires, we were able to better analyze the June 12 Jacksonville.com article. We believe that Edward Cormier II was attacked last month by the same pit bulls as McSweeney. I hope Mr McSweeney survives these catastrophic injuries. Every attack should result in a mandatory seizure/euthanasia. You are so full of fertilizer with your "don't blame the breed" mantra, it isn't even funny. Pit bulls were responsible for 100% of ALL off-premise dog attack human fatalities in a recent year, I believe it was 2008. Quick defending these killers. You are obviously a moron, that's why you work in a dog pound. the pit nutter's name has been released, DEANNE LOU BLITCH and she has quite the record, bad checks, theft, judgement against her from state farm auto insurance and her credit union. i'm guessing roy or the state of florida will be picking up the tab for this scuffle. this is jimmy's turf. i bet he is bidding on this one so he can slip in and give it the old white wash treatment. Excellent call Craven. This is indeed Jim (James) Crosby whitewash turf. I wonder if his resignation as Bay County Animal Control Director has affected his self-appointed fatal dog attack investigator status? well, the pit nutters have spoken and they say the frankenmaulers are pit bulls. "There's a constant problem with the dogs," she said. "They are always running the street. They came down here and were growling and barking at the door. We have pit bulls, but she is the kind of person who gives them a bad name." finally a photo of mr brouhaha emerges. thanks to dogs bite decatur. Mr. McSweeney's injuries are life changing. He will not work in his garden again, he will require assistance with the most basic activities of daily living. If Mr. McSweeney's family is unable to provide this care, he may live out his life in a long term care facility. How can this man be compensated for his losses? Who will pay for his care? If the dog owner is currently being sued over a previous dog bite her insurance is not likely to cover any of Mr. McSweeney's medical bills. Insurance, when it exists for a pit bull owner, only covers the first bite. The Urban Dictionary has quite a few definitions for "Blitch"
now DEANNE BLITCH is claiming that she wasn't home at the time of the mauling, the frankenmaulers belonged to a friend and she doesn't know how they escaped. why hasn't she been arrested? 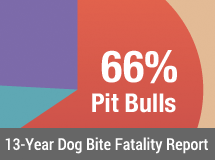 "Pit bulls or pit mixes are implicated in two-thirds of bite cases in the county, said Paul Studivant." friends say roy is on life support. it's not looking good. Sometimes I wonder what these nitwits see in these murderous canines. These dogs just need to be loved and socialized, they just need good homes. Give me a break! Idiots! I know Mr. Dickerson. He is my neighbor and is actually a nice person. I know that his soundbite came off sounding cavalier, but he actually would have been the one to shoot those dogs if he had arrived before the deputies. We have had several discussions on this subject. We both have a few farm animals and farming makes you a pragmatist. We do not suffer an aggressive animal to live. On the pit bull lobby quote, "It's not the dog, it's the owner"…. "Most of which is complete nonsense. It's no mistake that pits are the preferred dog of gang-bangers, drug dealers and dog-fighting enthusiasts. Their power and tenacity when attacking is legendary. But whether pit bulls are dangerous as a function of irresponsible owners or breeding is less relevant than the terror they're inflicting on Florida's population. More than two decades ago, legislators passed a law shielding pit bulls and other specific breeds from local regulation. We'd like to hear lawmakers who continue to back that law explain their reasoning to Roy McSweeney. Citizens must apply pressure to their elected officials to change the law. Mr McSweeney passed away today at 4:48 PM. He is the 168th American Killed by a Pit Bull since the Dog Lobby manipulated the CDC panel in 1998. Cormier's mother, Rita Garrett, contends her son wouldn't have been attacked if the dogs weren't in the home after the attack on Floyd. She also said that if the dogs were removed after last month's attack on her son, McSweeney would have been spared. Cormier had surgery on both arms and received 40 stitches. To constitute depraved indifference, the defendant's conduct must be so wanton, so deficient in a moral sense of concern, so lacking in regard for the life or lives of others, and so blameworthy as to warrant the same criminal liability as that which the law imposes upon a person who intentionally causes a crime. Depraved indifference focuses on the risk created by the defendant’s conduct, not the injuries actually resulting. in spite of the fact that neighbors that WHO OWN PIT BULLS have said that these killers ARE pit bulls, idiot toellner is raising questions about the breed! Putnam County needs to pay up on this facilitated manslaughter…especially in light of the fact that they don't adopt out Pits due to the special liability. They knew and have calculated the risk. PREVENT THE DEED, REGULATE THE BREED…..